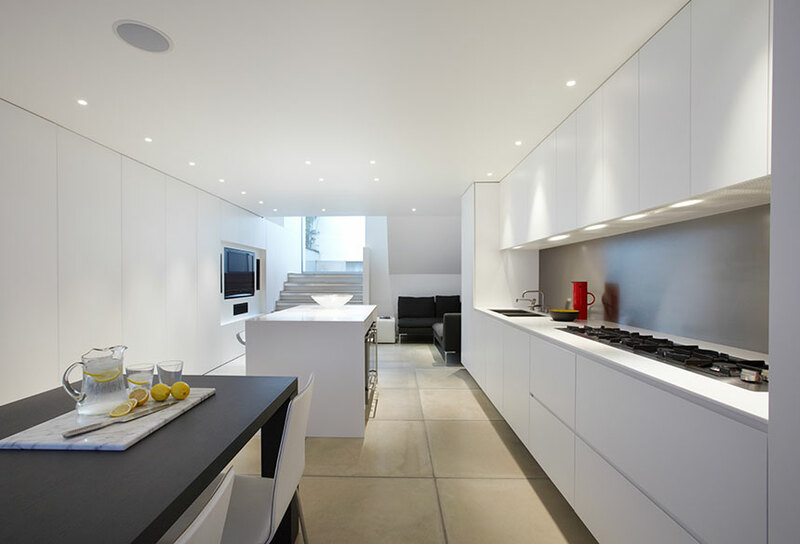 This kitchen was designed by Guard Tillman Pollock who did an excellent job in opening up the lower ground floor. 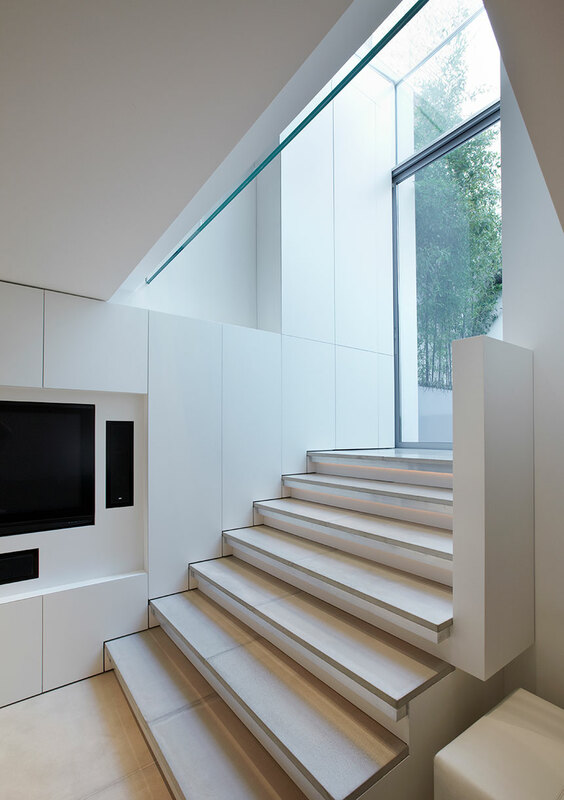 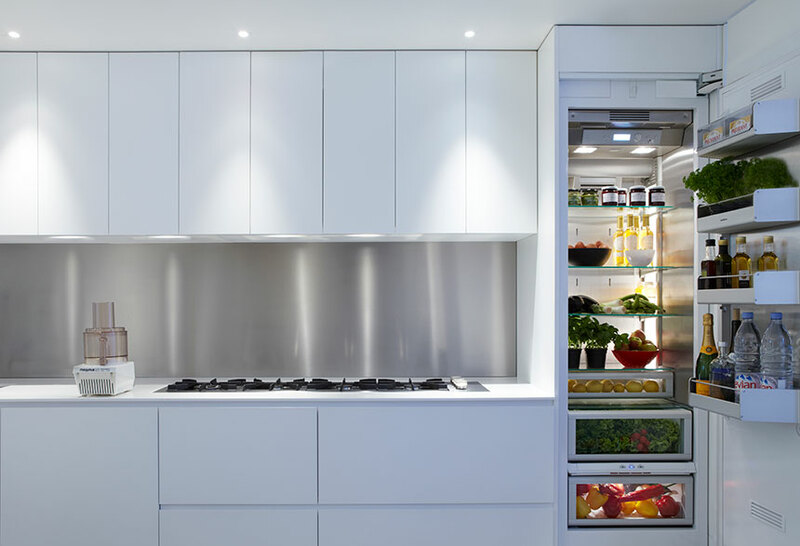 A challenging long wall of cupboards was created, which then continued vertically up the stairs and housed a TV, speakers, Gaggenau freezer, Gaggenau microwave, wine storage, larder unit with drawers and general storage. 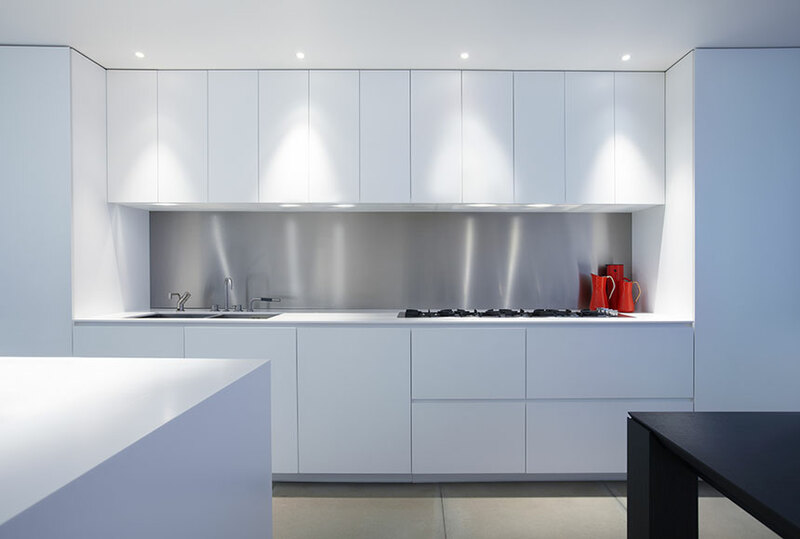 An attractive detail is the absence of visible door edges, something that we are increasingly using in our kitchens. 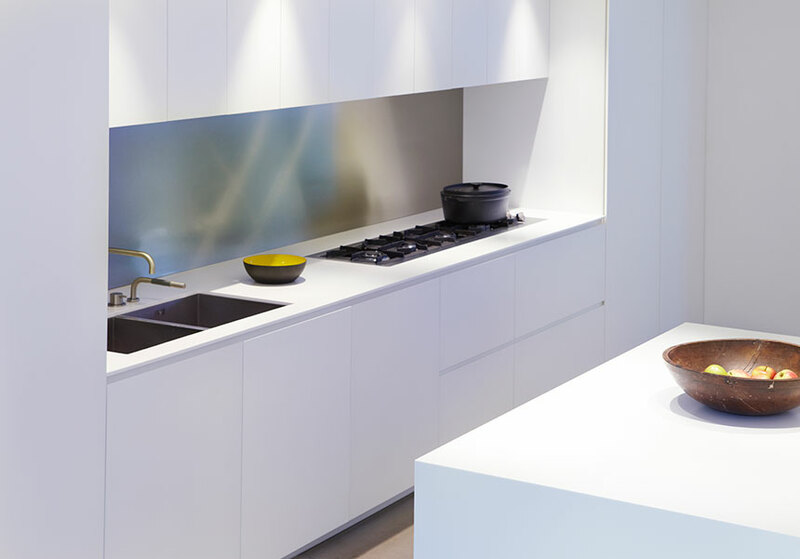 A mitred edge detail on the Gaggenau fridge enabled us to create a kitchen without handles.